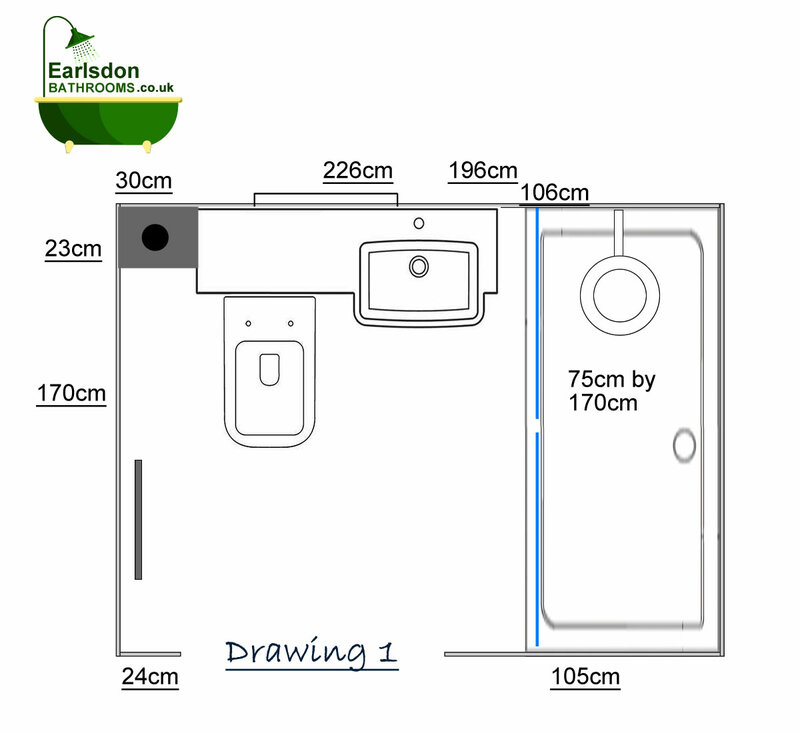 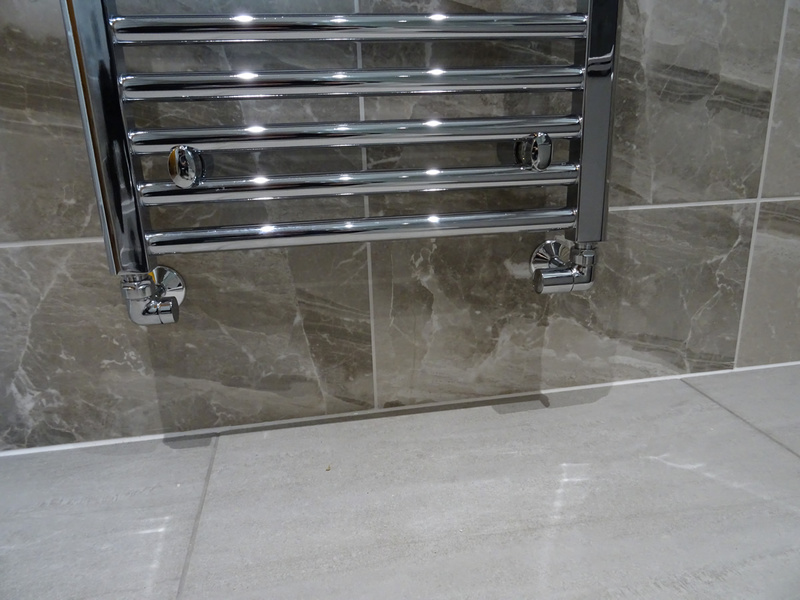 This is a normal family bathroom measuring 226cm wide by 170cm long. 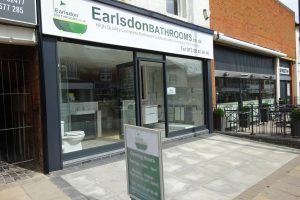 Originally the bathroom was fitted as a standard bathroom. 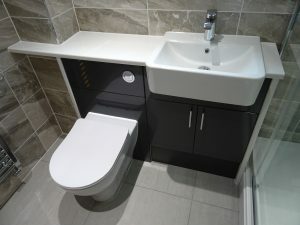 From left to right, toilet, basin and bath. 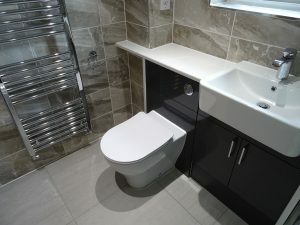 The bath had an electric shower. 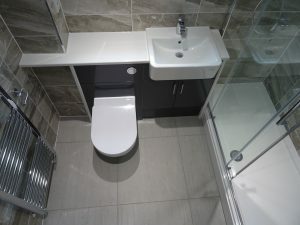 The clients requested that we suggest some ideas and floor plans to convert the bathroom into a shower room. A large shower tray was required but a closed sliding door shower enclosure was requested. 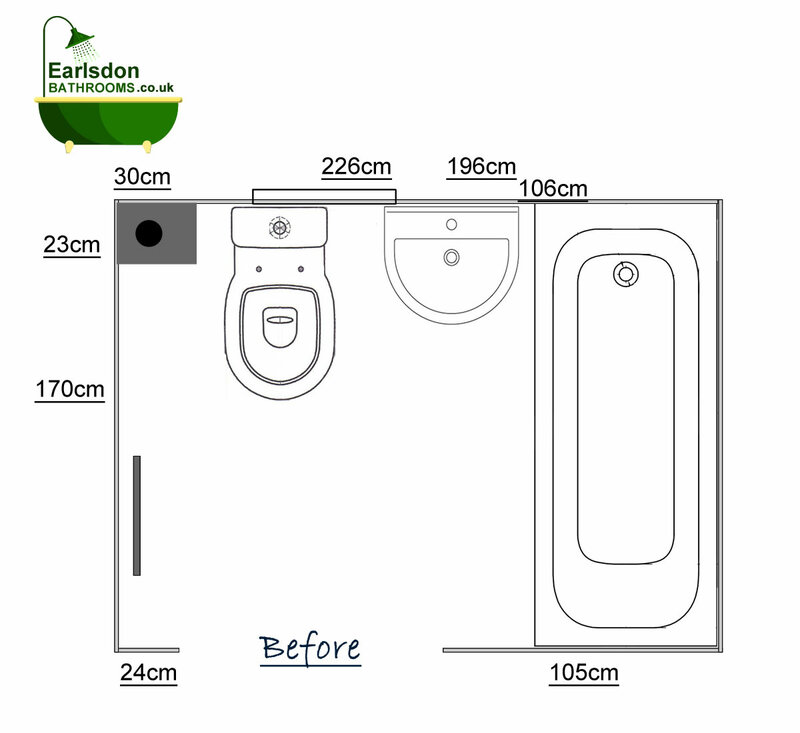 Below is the original design and layout of the bathroom. 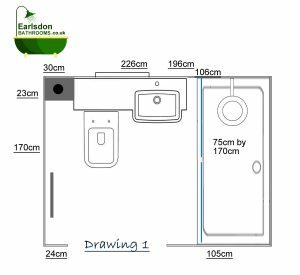 Below is the new shower room design and layout. 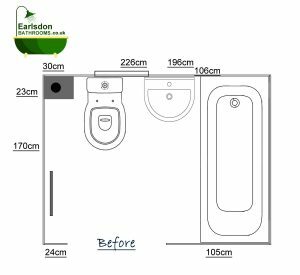 We suggested replacing the bath with a 170cm long stone resin shower tray that is 75cm wide, 5cm wider than a standard bath. 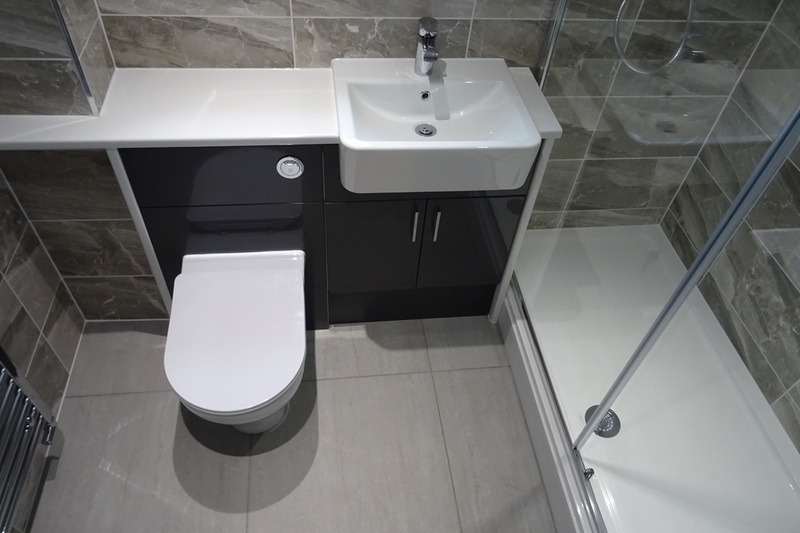 The toilet and basin have been replaced with fitted a fitted toilet and basin unit with fitted work top. 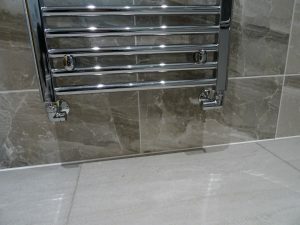 500mm wide 1600 high chrome towel radiator. 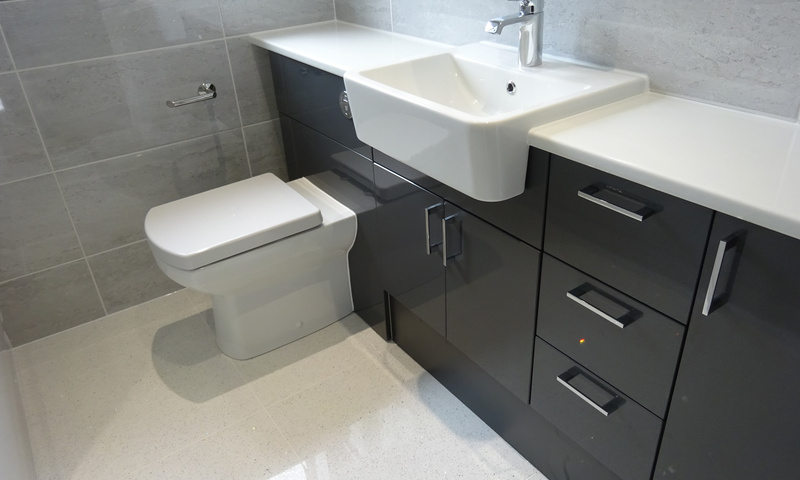 The fitted furniture is grahite grey with wrapped each side and ontop with a white gloss work top. 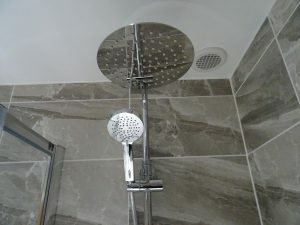 We changed the extractor fan a ceiling mounted extractor fan that is fitted just above the shower head (look at the image of the shower head). 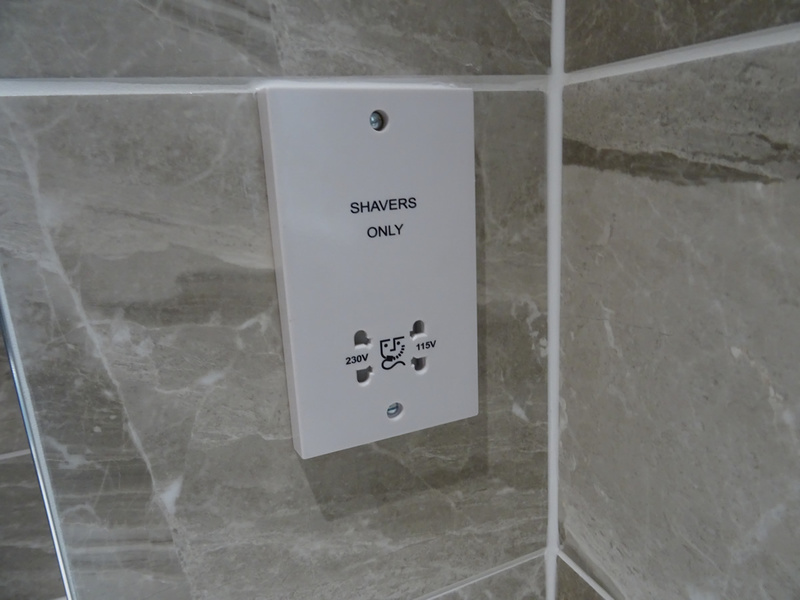 The pull chord we changed to a wall light switch in the hallway. The original electric shower isolation switch we removed from the bathroom.